The harmful effects of cigarette smoke to human health have been well established and documented in the last few decades. Cigarette smoke is a very complex mix of combustion products that may cause various degrees of oxidative stress and injury to lung tissues. 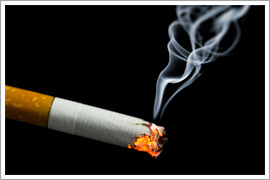 Cigarette smoking has been linked to elevated incidence of lung cancer, COPD, emphysema, etc. The mandate given recently by Congress to the FDA and current EU guidelines to regulate tobacco products has given a new impetus to the need for more research to provide a better understanding of injury pathways, exploring mechanisms for health effects mitigation, and regulatory purposes. To support these efforts, CH Technologies has developed a specialized line of products dedicated to tobacco smoke inhalation research. Our cigarette smoke generation machines and cigarette smoke exposure systems are widely used by tobacco companies, drug companies and universities to study, in depth, toxic effects of cigarette smoke or to create appropriate disease models for drug discovery. Our automatic rotary smoking machine is the only model in the market that is capable of sequentially smoking up to 30 cigarettes simultaneously. CH Technologies offers you a one-stop source for customized solutions that will make the best use of your resources.